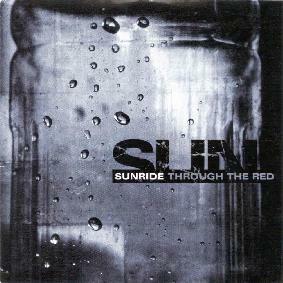 Sunride - "Through the Red"
Sunride come from Finland and this is their third main release. The first release, the Magnetizer CD-EP, showed the band playing a raw, Hellacopters style rock and roll. The band have really progressed and have a great studio sound now and much better songs. I never did hear their second CD, The Great Infiltrator, but it received great reviews and the band toured all around Europe. The opening track "Hey Boy", really reminds me of the great finnish band, Amorphis. The music is still a strong mixture of fast rock riffs, melodic hard rock (ala Hellacopters) and some heavy metal influence for sure. "Spiral Sense" is a great, grooving song. Especially good in the car, unless you are stuck in traffic! Like You, another strong track and the middle section is very influenced by Queens of the Stone Age. "Speeding Nowhere" and "False Independence" are two QOTSA influenced songs. I don’t know if it is just my ears that in so many bands from Europe that QOTSA have had such a huge influence. I hear many small riffs and ideas from QOSTA that bands borrow or use. Sunride are far from a QOTSA cover band though and have developed their own unique brand of hard driving, melodic rock. The CD is full on all the way through with no let up. "Speeding Nowhere" will be the bands radio song if there is one. "Vinegar Fly" is a great footstomper! "Days Inside the Capsule" is the heaviest song on the CD and really pounds. A great song. "Under Control" is a speed rock number and in just 2:24 it just flies by. The CD closes with "Through the Red". A very strong effort and this will be on the streets on May 24th, 2003. For more information you can visit the Sunride web site at: http://www.riffrock.com/sunride. Through The Red is distributed by People Like You. You can visit their web site at: http://www.peoplelikeyou.de.